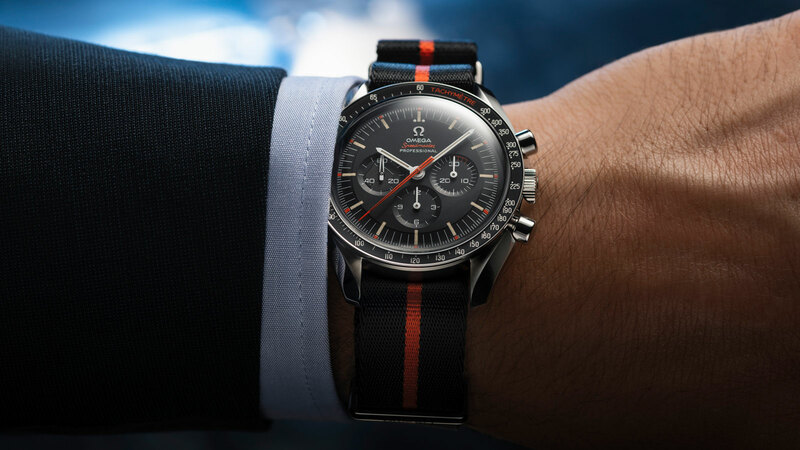 THE SPEEDMASTER LIMITED EDITION 42 MM "ULTRAMAN"
OMEGA’s 1967 “Moonwatch” has been a hit with collectors ever since it appeared in the Japanese TV show “RETURN OF ULTRAMAN.” Now, that popular chronograph has been reborn – in the form of an exclusive #SpeedyTuesday model that is limited to just 2,012 pieces. 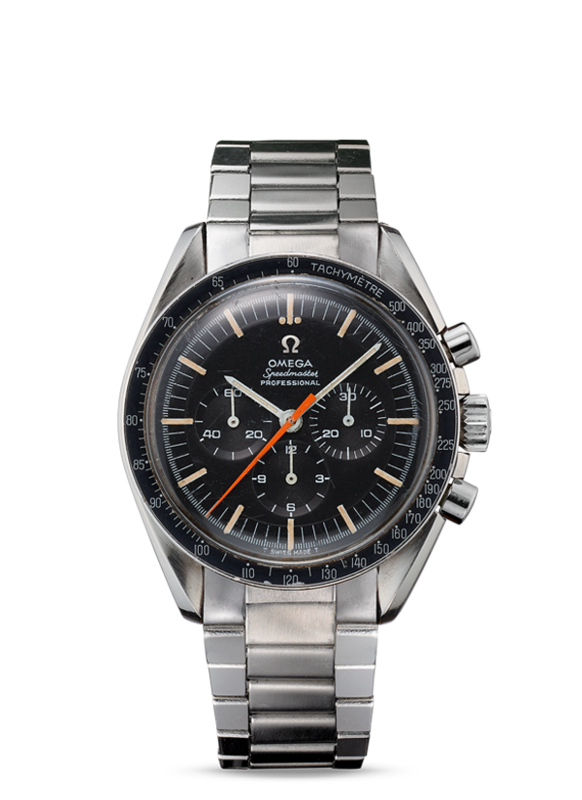 In the early 1970s, the Japanese production team behind the “RETURN OF ULTRAMAN” TV Series picked an OMEGA Speedmaster “Moonwatch” for its monster-fighting kit. 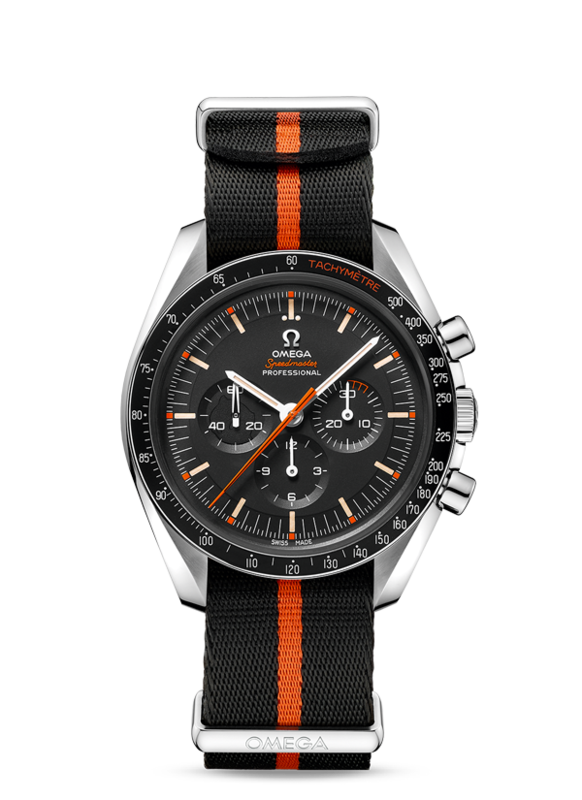 That particular model differed from most others thanks to its uniquely finished dial and orange central seconds hand, and it has been part of science-fiction history ever since. 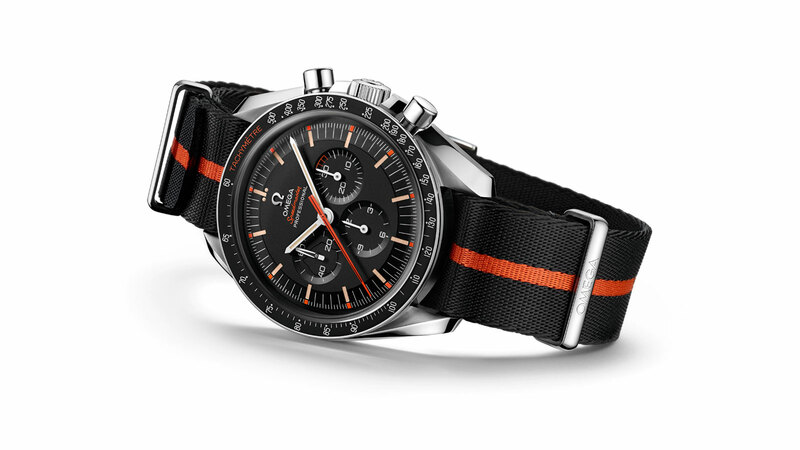 The Speedmaster used in RETURN OF ULTRAMAN was exceptional due to its bright orange seconds hand. 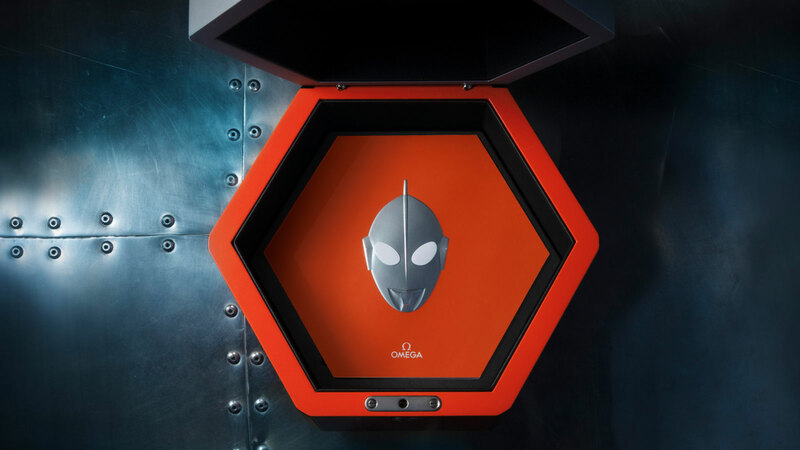 Today, that historical hand has arrived in the future, with the exact same shape and shade of orange as well as a new black stripe - which perfectly matches the suits of the show’s heroic Monster Attack Team. 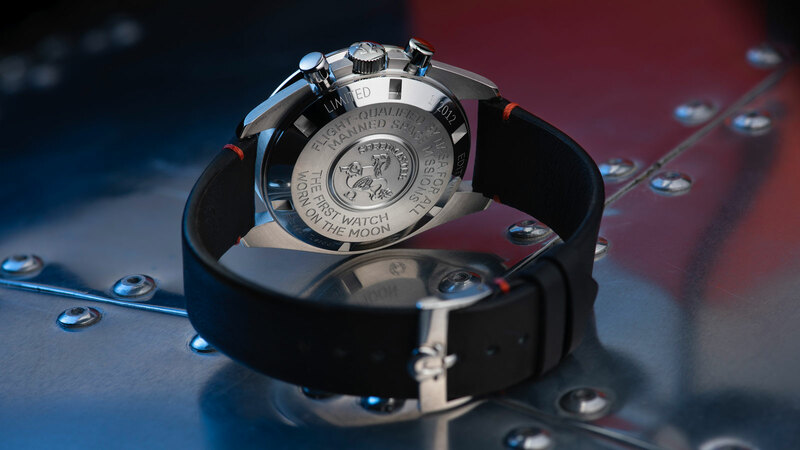 "The black aluminium step dial includes touches of vintage Super-LumiNova." 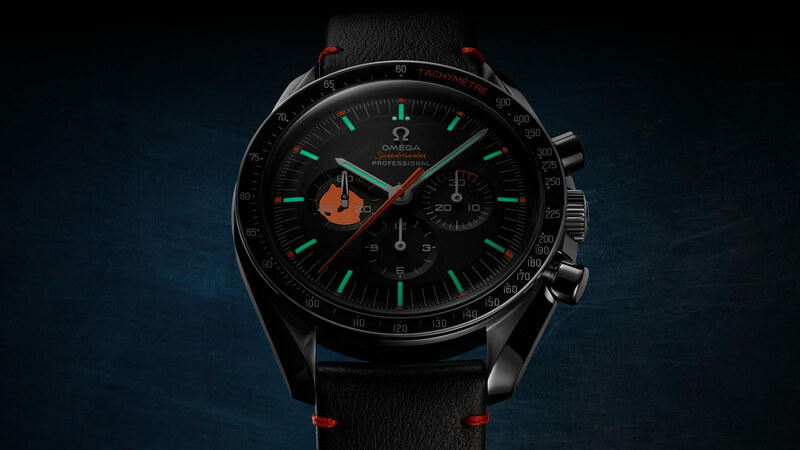 Because Ultraman could only stay in superhero-mode for 3 minutes, OMEGA has coloured the first 3 minutes of the 3 o’clock subdial in orange. 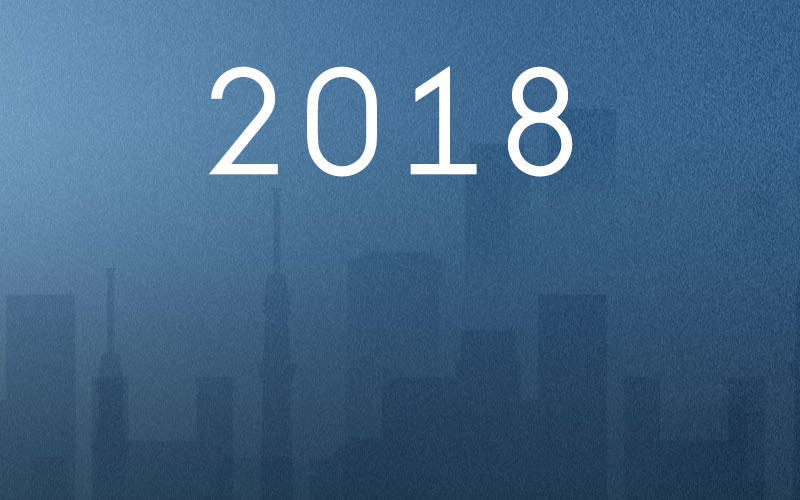 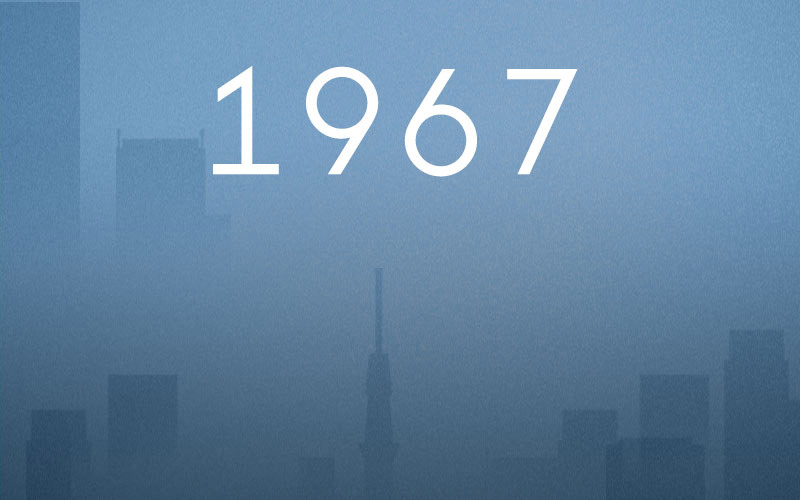 On the 9 o’clock subdial, a silhouette of Ultraman’s face can be seen. 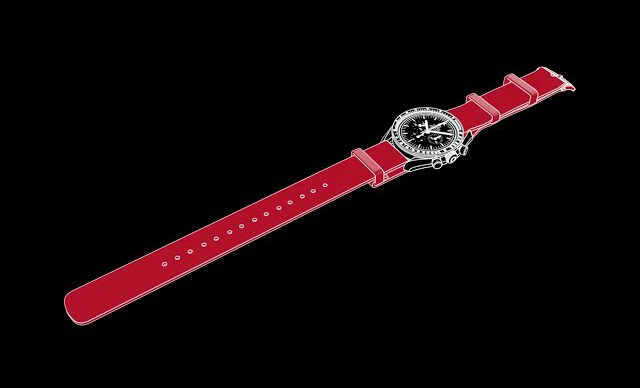 But only if you use the UV light at the end of the watch's strap changer (which is shaped like Ultraman’s Beta Capsule). 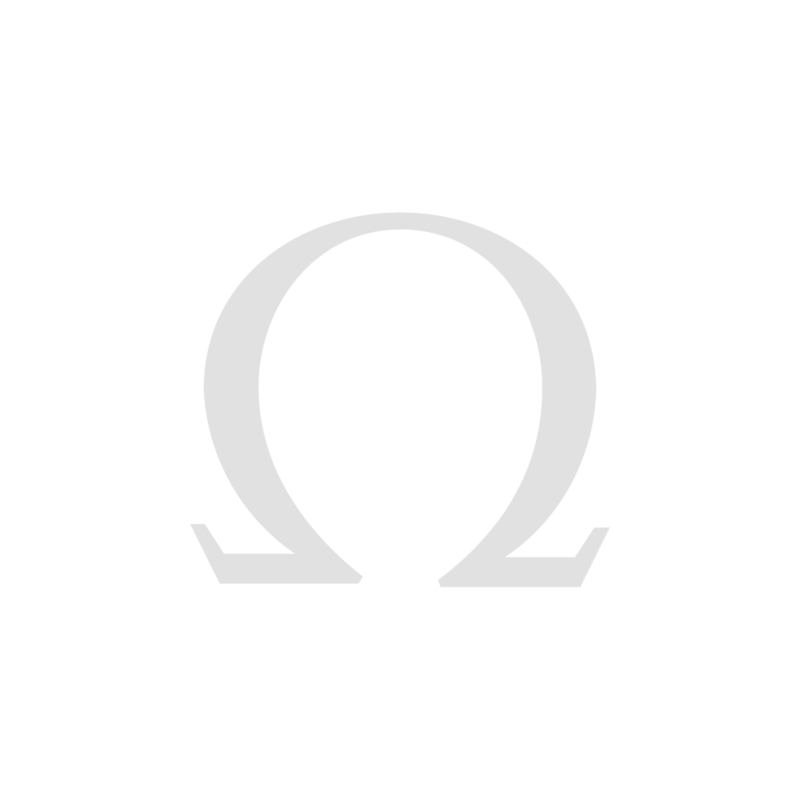 "A vintage OMEGA logo is included on the dial for a retro touch." 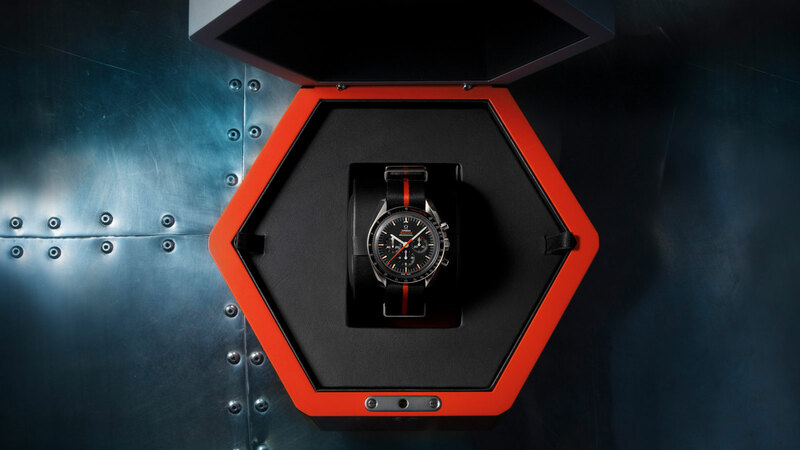 With a 42 mm stainless steel case and hesalite crystal, the watch uses black and orange colouring for its NATO strap and anodized aluminium bezel. 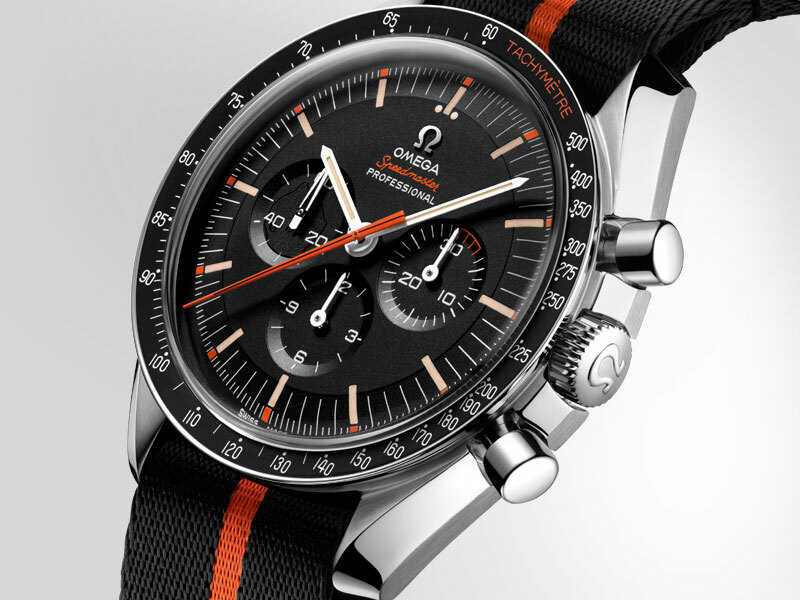 The dot over 90 is also a little tribute to some collectable Speedmaster models from the past. 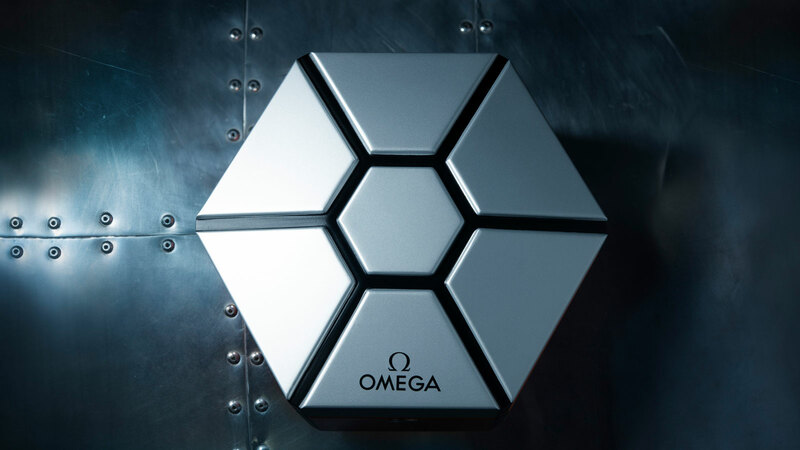 The watch is powered by the OMEGA Calibre 1861, a legendary movement with true space credentials. 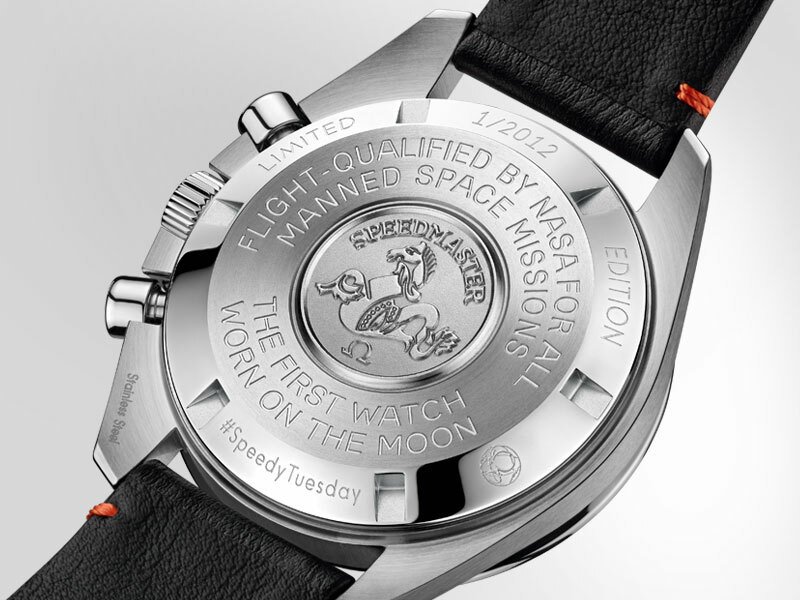 The caseback features an engraving of #SpeedyTuesday and the words THE FIRST WATCH WORN ON THE MOON. 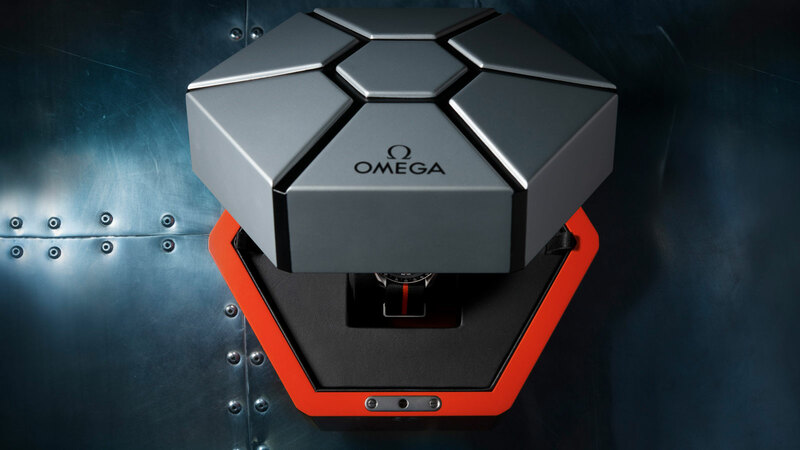 Each customer receives their Speedmaster "Ultraman" in its own hexagonal box - a tribute to the futuristic table used by the Monster Attack Team. 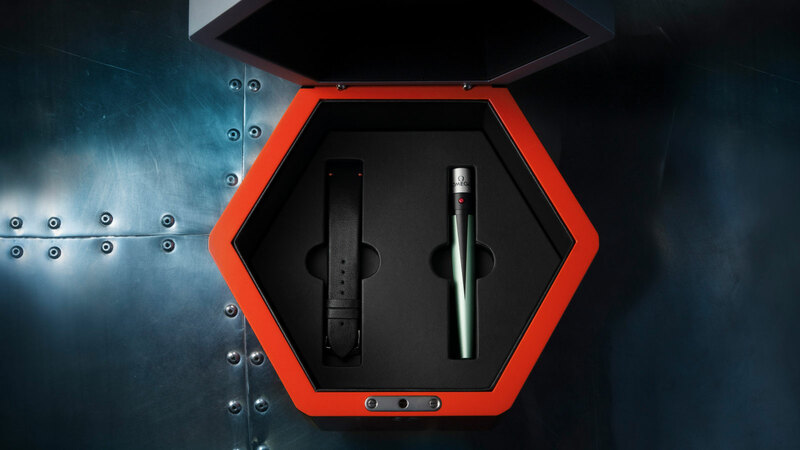 Inside, there is a spare black leather strap and the “Beta Capsule” strap changer with its UV light. 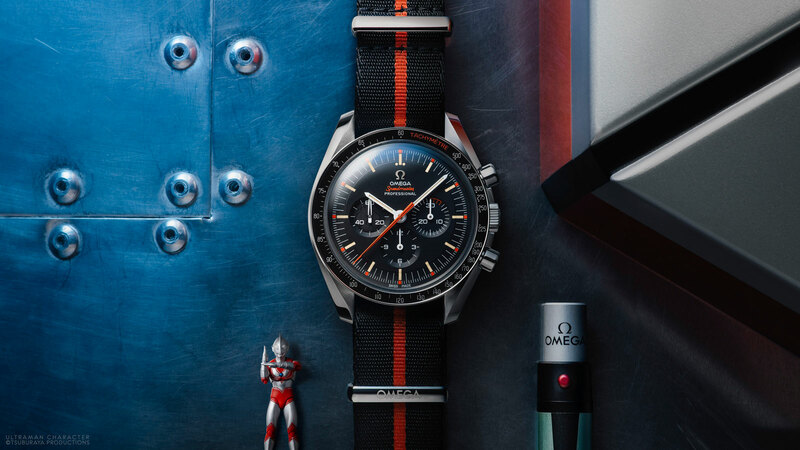 From the bold orange seconds hand to the discreet silhouette of Ultraman's head, OMEGA's new 42 mm #SpeedyTuesday is a watch with many interesting features to discover. 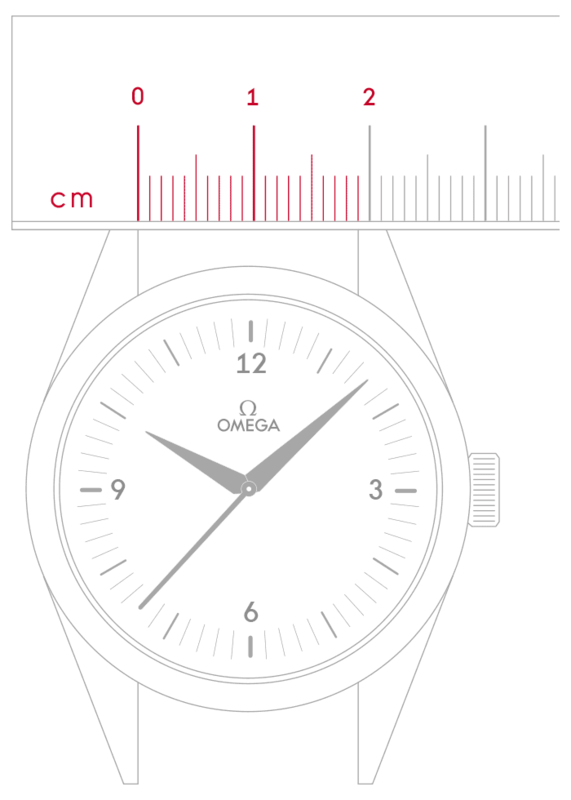 Take a closer look at this fascinating timepiece.